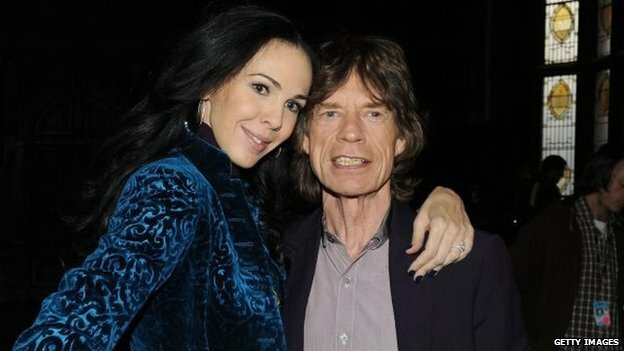 70-year-old Rock Legend, Sir Mick Jagger mentioned to the press that he was left ‘shocked and devastated’ after hearing his girlfriend, fashion designer L’Wren Scott committed suicide earlier today. A spokesman said the 49-year-old, was found at 10:00 local time (14:00 GMT) on Monday by her assistant in her New York City flat. The police and paramedics believe that the cause of death was likely ‘a suicide mission’ however, the body is being carefully examined so the outcome is still yet to be questioned. But the better question is, what made this talented lady come to this conclusion? L’Wren Scott was indeed, ‘in her prime’. Scott, born Luann Bambrough, was raised by Mormon adoptive parents in the US state of Utah where she happily spent her childhood. She began her career as a model in Paris, then moved to Los Angeles to become a fashion stylist, according to a biography on her company’s website. Scott founded her own high-end fashion label in 2006 and recently created a more affordable line of clothes with Banana Republic. From then on, it’s history with a loving relationship that started out in 2001 and fashion deals and event pouring from side-to-side and let’s not forget the Rolling Stones tour, could it have been the over-whelming invitations to events or just stress?